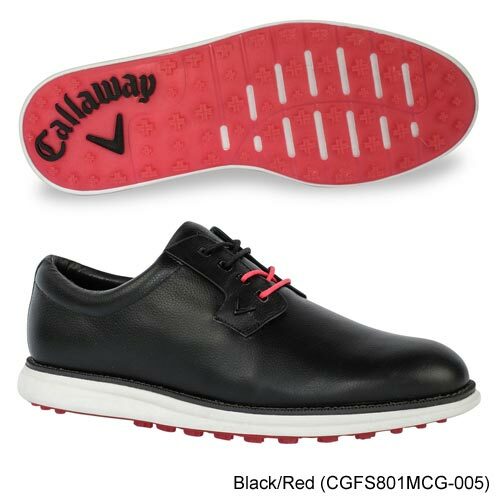 Even though our Callaway Swami 2.0 spikeless golf shoes mean business on the course, don't confuse these for business attire. 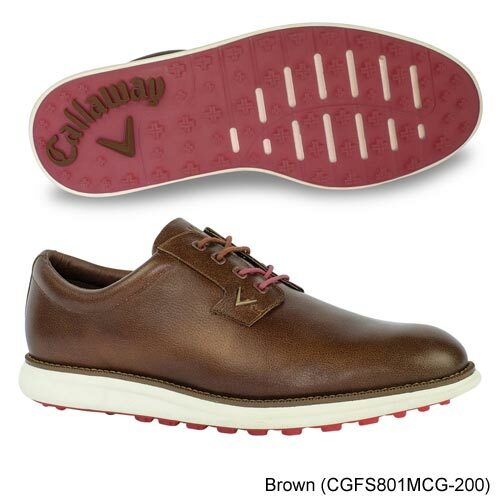 The full-grain leather adds durability to comfort, and the simple color combination with subtle stripes on the back allows your shoes to pair with just about anything in your golf attire. 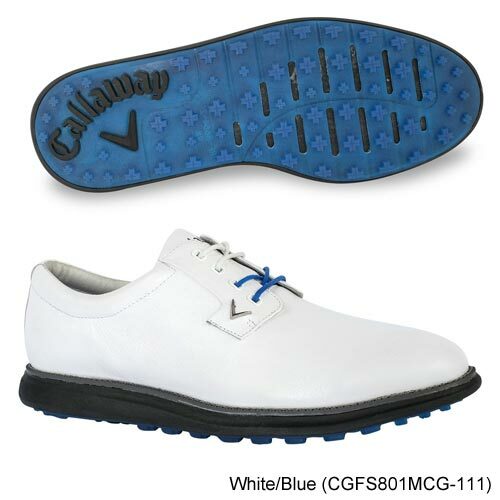 The Dura-Rubber multidirectional traction-control lugs hold ground from each way to prevent slipping, allowing you to dig in for the perfect swing. Our Opti-Repel water-resistant full-grain leather creates a barrier against inclement weather and Opti-Soft EVA midsole works with your foot's arch to create a natural and comfortable walk.